Manchester United striker Danny Welbeck remains keen to quit Old Trafford despite the arrival of Dutch coach Louis van Gaal. The 23- year-old, who was born and raised in Manchester and joined the Red Devils aged 11 in 2001, has become frustrated and disillusioned after spending most of his professional career played out of position by the Premier League giants. Speaking to the Guardian, Welbeck rejected the opportunity to state that he wanted to be part of Van Gaal’s Manchester United, telling reporters “I’d rather not answer that question” when asked whether he still wanted to leave the club. His silence, on this occasion, spoke volumes. The England international, who has been linked with a move to Arsenal and Tottenham , admitted he was frustrated at not being given the opportunity to play as a centre-forward on a consistent basis. either on the left flank or, worse, the bench. Welbeck also hit out at former boss Moyes, who seemed to accuse the striker of not putting in enough extra hours on the training ground. He added: “I was pretty surprised, to be honest. I’ve grown up at Manchester United and been professional all through my career and I always do extra work. 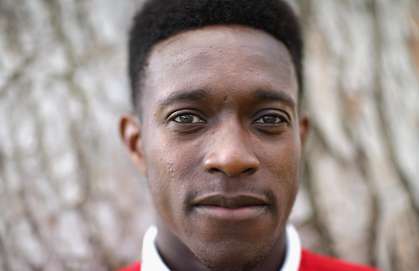 Welbeck is now looking forward to showcasing his qualities for England at next month’s World Cup finals in Brazil. “I wouldn’t say I play better for England but my goals-per-game ratio is definitely better,” he continued. “Formation-wise, I’m much freer up front because, when I play on the left for England, with three in midfield and three up front, there is more defensive cover rather than me being that defensive cover. Breaking News: David Beckham Retires From a Glittering Football Career.